When you think of Vitamin D, your first thoughts would be getting nutrients from the sun, absorption of calcium and phosphorous and nutrients for the bone. Recent studies have shown that basking in the sun and getting your fix of Vitamin D does not only help your bones and give you a great tan, but also beneficial in preventing heart diseases! A five-year study led by Dr. Klaus Witte from the Leeds School of Medicine and Consultant Cardiologist at Leeds Teaching Hospitals NHS Trust proved that daily doses of vitamin D3 showed improvements of the heart with patients with chronic heart failure. Your source (and recipe!) to the “Sunshine Supplement"
Vitamin D2 is found in some foods, and a lot of multivitamin formulas. But it’s less active than D3, which is the form of vitamin D your skin manufactures with exposure to UV light (sunshine). Try the recipes below with a few foods and supplements you can receive Vitamin D from! Cod liver oil was used for health reasons centuries ago in Europe to increase immunity. Apart from Vitamin D, cod liver also have anti-inflammatory properties as well Vitamin A and omega 3-fatty acids. 7 Try out the Flambéed Cod Liver recipe that Martha Stewart learned from the First Lady of Iceland (2013-2016), Dorrit Moussaieff. 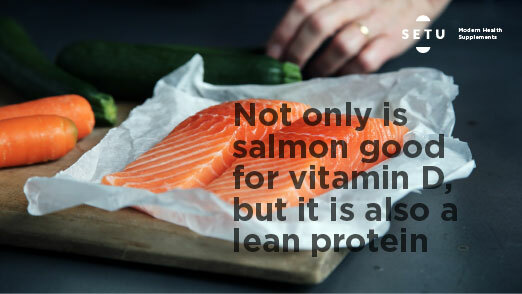 Not only is Salmon good for vitamin D, but it is also a lean protein, which is great for the diet. Baked Salmon Dijon is a great recipe to add to your dinner rotation, especially for all mustard lovers! Apart from vitamin D, tuna is a great source of iron and potassium and is also good for weight loss because of its low fat and high protein nutrients. Include this comfort food Tuna and Rigatoni Casserole recipe to your meals. Instead of rigatoni, you could also add “zoodles” for an even healthier meal! A glass of OJ is a daily staple in many homes. 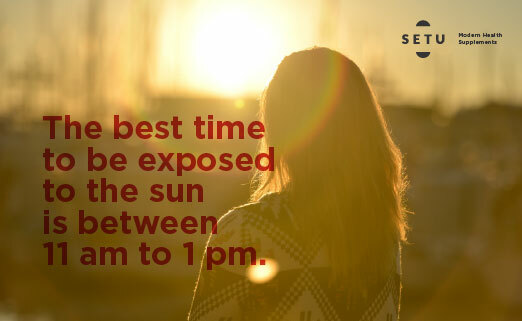 So if you’ve been having orange juice, you’ve been getting your daily dose of vitamin D! If you’re not a big fan of orange juice, make a Mango-Strawberry Smoothie out of it or a bowl of fresh oranges does just the same! P.S. The smoothie recipe is also great recipe to control diabetes (type 2)! In addition to a great source of vitamin D, vitamin E, calcium, and protein are also found in almond milk. You can buy almond milk from a store or try and make your own Almond Milk at home! 1 cup of raw fortified milk also contains 98 IU of Vitamin D. For those who dislike almond milk can try the recipe with plain milk too! Yogurt is a convenient and healthy snack. Not only is a good source of Vitamin D, but also one of the best foods to get your probiotics from. Plain yogurt is great, to change it up try cooking up a meal with a Middle Eastern Salad recipe! Egg yolks have been given a bad rep because many believe you get high levels of “bad cholesterol”. 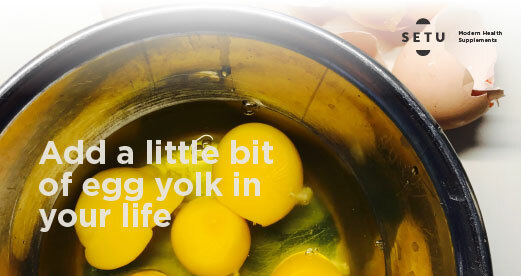 But omitting egg yolks from your diet also means you lose on getting zinc, selenium, immune boosting minerals and of course, Vitamin D. Add a little bit of egg yolk in your life and try some of the recipes for Life on the Sunny Side! Though mushrooms don’t have a very high source of Vitamin D, some types of mushroom are treated with UV light, which allows more Vitamin D to produce. Always check the nutrients on the packaging as it varies from mushroom to mushroom. However, there is no harm in adding a Veggie Stuffed Portobello recipe to your week!